Should I get Bluetooth hearing aids? A variety of hearing aids now come equipped with Bluetooth technology. In fact, the Audicus Clara RIC hearing aid model can now be upgraded for Bluetooth compatibility. While many find Bluetooth hearing aids to be helpful in their daily lives it’s not right for everyone. Here’s what you need to know when making your decision. 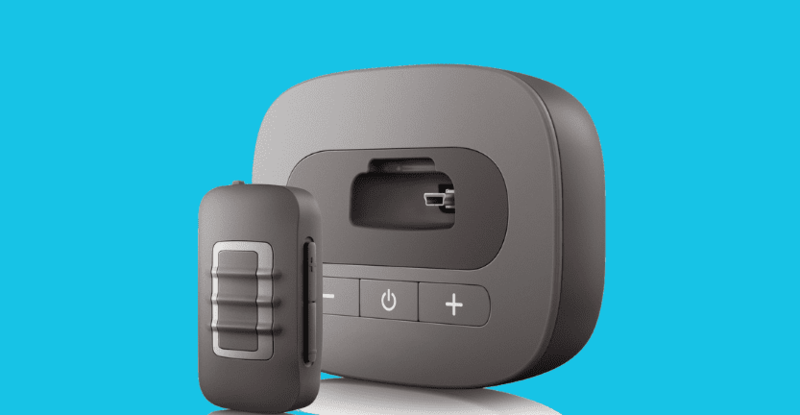 Bluetooth is a wireless communication technology that allows devices to connect remotely to other devices. In terms of hearing aid technology, Bluetooth capability allows hearing aids to connect wirelessly to cell phones, televisions, and computers or tablets. Bluetooth-enabled hearing aids have been around for quite a few years, and tech companies are embracing the trend. Apple created a connection that ensures hearing aids can work with any device that is running the iOS operating system (look for hearing aids labeled “Made for iPhone”). There are many advantages to using these hearing aids. With Bluetooth-enabled hearing aids, you can take phone calls directly through your hearing aids. You can connect to your television and adjust the volume of your streamed to your ears—no more fighting with your spouse or children about how loud the TV should be! Bluetooth hearing aids can also connect directly to your laptop or tablet. You can watch Netflix, conduct video chats, and laugh at Youtube videos all through your hearing aids. You control the volume through a separate remote, rather than struggling with computer speakers. While Bluetooth hearing aids are definitely great for making life easier for some, this technology is not for everyone. Especially for those who’d rather not deal with additional tech and want to keep their hearing aids simple. They require a streaming device, typically a remote, worn on the neck or in a pocket. If you’re not into gadgets, this may feel burdensome. Another consideration with Bluetooth hearing aids is battery drain. Bluetooth capability drains the battery faster for any device (turn it off on your cell phone to conserve battery!) and hearing aids are no exception. Do I need Bluetooth hearing aids? It depends on what you’re looking for. Bluetooth hearing aids do offer better sound quality and allow you to stream sound from any device with Bluetooth output. If you’re a tech-savvy hearing aid user who enjoys music, conversations on the phone, or TV and movies, they’re a great fit. If you’re worried about battery drain or figuring out additional technology then the upgrade might not be best for you. As Bluetooth becomes more commonly used, the demand for this feature continues to grow as well as user comfort with it. But if you want to keep things simple, high-quality hearing aids, programmed to your hearing test will work just fine without. In order to connect to my TV box and hear through my hearing aids I was told that the volume on my TV had to be silenced. Can people around me still hear the TV? In answer to Lynn Resound make blue tooth hearing aids that are compatible with android phones. I have a Galaxy S8 and it works flawlessy. In answer to Johnnie, the beeping and sounds between program changes and other features can be reduced by the audiologist at the VA. You can also reduce some of the other annoying sounds with manual adjustments. Ask the audiologist to show you how. I had the same issues with my Resound Linx Quattro. I have Bluetooth hearing aids and I totally don’t like them. The are good for phone calls but they make too many different types of sounds all the time and drives me crazy!!!! It gets to where I have to take them off to get any sound because of the ding ding, a scale ding sound that goes from a low ding to a higher ding very quickly.. sometimes it just keeps going and won’t stop!! I got mine from the veterans administration. So if i upgrade to the Bluetooth remote, while watching tv or taking a call on my smart phone will I still be able to hear others talking in the back ground? Also, Is it like having ear buds in listening to tv, radio or phone? Hi Tonny! That’s a great question, the bluetooth technology our hearing aids use does allow you to hear sounds around you at a slightly lower volume while you are on a call or watching tv! Thanks for this post. I’m looking at BTHAs but my wife is balking at the added cost. She also claims many people have “all sorts of problems with them” and is convinced that I should “buy a product to perform the function it was designed for”. Do you have any reports or info on BTHAs being problematic? Hi there! That’s a fantastic question, many of our customers love the bluetooth function of our Oro hearing aids. Though we do only recommend it if you feel like it would be useful to you, for instance if you feel like you would frequently use it for hands free calls or connecting to your TV, than it would absolutely be worth it! Take a look at our Oro hearing aids by CLICKING HERE. If you’re interested in learning more about our hearing aids you can email us at [email protected] or call us at 855-971-0451! Comment on Bluetooth. I have had bluetooth with my current hearing aides for 4yrs, whereas the aides are on their last legs the bluetooth in the aide gave up after 3yrs. Great for watching TV.